You are browsing the archive for 2019 January 14. 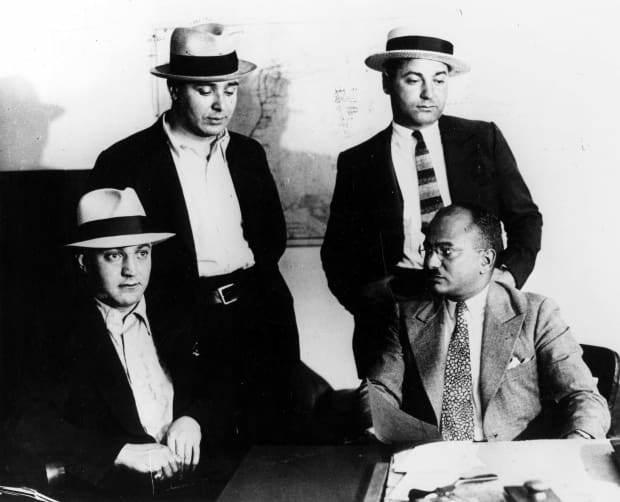 In fact, before the passing of the 18th Amendment and the nationwide ban on the sale or importation of “intoxicating liquor” in 1919, it wasn’t the mobsters who ran the most organized criminal schemes in America, but corrupt political “bosses,” explains Howard Abadinsky, a criminal justice professor at St. John’s University and author of Organize Crime. Benedict Arnold, the American general during the Revolutionary War who betrayed his country and became synonymous with the word “traitor,” was born on this day in 1741. Arnold, who was raised in a respected family in Norwich, Connecticut, apprenticed with an apothecary and was a member of the militia during the French and Indian War (1754-1763). He later became a successful trader and joined the Continental Army when the Revolutionary War broke out between Great Britain and its 13 American colonies in 1775. During the war, Arnold proved himself to be a brave, skilled leader, helping Ethan Allen’s troops capture Fort Ticonderoga in 1775 and then taking part in the unsuccessful attack on British Quebec later that year, which earned him a promotion to brigadier general. Arnold distinguished himself in campaigns at Lake Champlain, Ridgefield and Saratoga, and gained the support of George Washington. However, Arnold had enemies within the military and in 1777, a group of lower-ranking men were promoted ahead of him. Over the next several years, Arnold married a second time and he and his wife led a lavish lifestyle in Philadelphia, racking up substantial debt. Money problems and the resentment Arnold felt over not being promoted faster were factors in his decision to become a turncoat. In 1780, Arnold was given command of West Point, the American fort on the Hudson River in New York (and future home of the United States Military Academy, established in 1802). Arnold contacted Sir Henry Clinton, head of the British forces, and proposed handing over West Point and its men. On September 21 of that year, Arnold met with British Major John Andre and made his traitorous pact, in which the American was to receive a large sum of money and a high position in the British army. However, the conspiracy was uncovered and Andre was captured and killed. Arnold fled to the enemy side and went on to lead British troops in Virginia and Connecticut. He later moved to England, though he never received all of what he’d been promised by the British. The former American hero and patriot died in London, in relative obscurity, on June 14, 1801. On this day in 1784, at the Maryland State House in Annapolis, the Continental Congress ratifies the Treaty of Paris. The document, negotiated in part by future President John Adams, contained terms for ending the Revolutionary War and established the United States as a sovereign nation. The treaty outlined America’s fishing rights off the coast of Canada, defined territorial boundaries in North America formerly held by the British and forced an end to reprisals against British loyalists. Two other future presidents, Thomas Jefferson and James Monroe, were among the delegates who ratified the document on January 14, 1874. Thomas Jefferson had planned to travel to Paris to join Adams, John Jay and Benjamin Franklin for the beginning of talks with the British in 1782. However, after a delay in his travel plans, Jefferson received word that a cessation of hostilities had been announced by King George III the previous December. Jefferson arrived in Paris in late February after the treaty had already been negotiated by Adams, Franklin and Jay. Adams’ experience and skill in diplomacy prompted Congress to authorize him to act as the United States’ representative in negotiating treaty terms with the British. Following his role in ending the Revolutionary War and his participation in drafting the Declaration of Independence, Adams succeeded George Washington as the second president of the United States in 1797. On this day in 1942, President Franklin D. Roosevelt issues Presidential Proclamation No. 2537, requiring aliens from World War II-enemy countries–Italy, Germany and Japan–to register with the United States Department of Justice. Registered persons were then issued a Certificate of Identification for Aliens of Enemy Nationality. 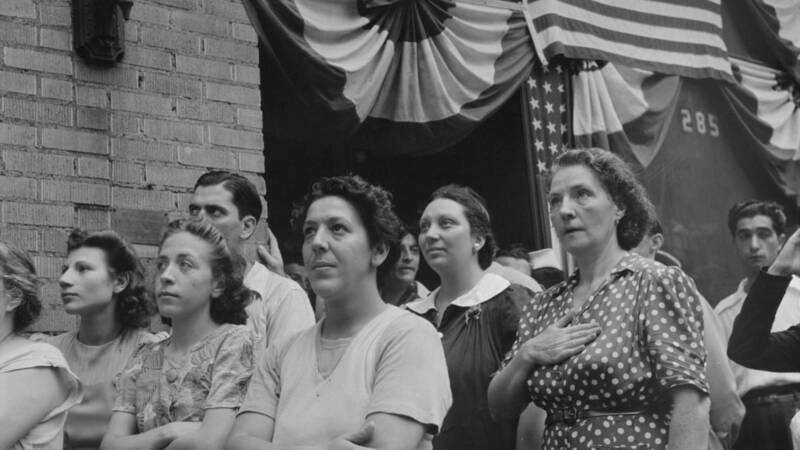 A follow-up to the Alien Registration Act of 1940, Proclamation No. 2537 facilitated the beginning of full-scale internment of Japanese Americans the following month. by the moniker Sargon of Akkad – for hate speech. be sceptical of accusations of censorship and bad analogies. did not make the comments on his channel. own content guidelines will be persistently disappointed. ‘basically controlled by the social-justice mob’. fundraising site in the spirit of a ‘free internet’.